The ULTRA-TURRAX® UTC is a high-performance dispersing machine used for the production of a variety of emulsions and suspensions in batch operations. 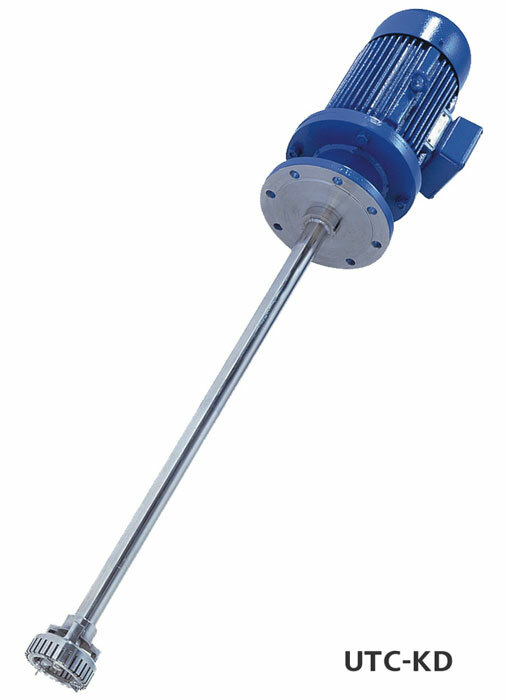 Using the rotor-stator principle, the UTC is best suited for applications that cannot be accomplished using conventional stirring methods. The UTC machine stator is mounted to the shaft tube and is capable of processing of media with a viscosity of up to 5.000 mPas. The preferred installation positions for the UTC are: diagonal from above, diagonal from the side or vertical off-centre. The UTC series is available with two different types of flanges KT for installation on open vessels and KD for closed vessels. 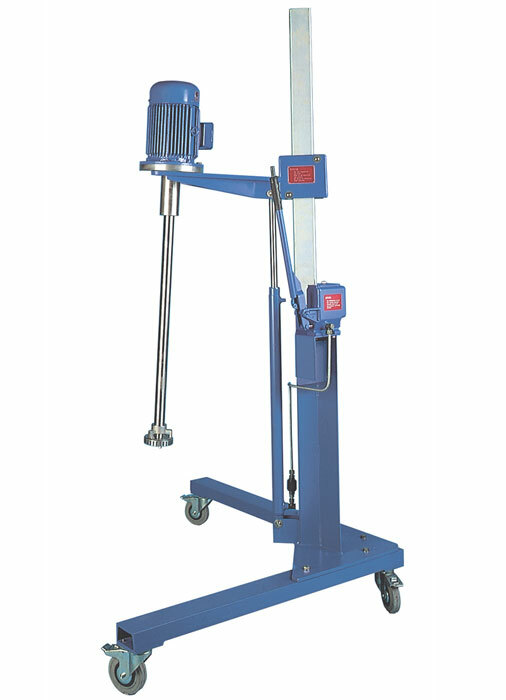 The UTC for open vessels can be offered with suitable floor, wall or mobile stands. 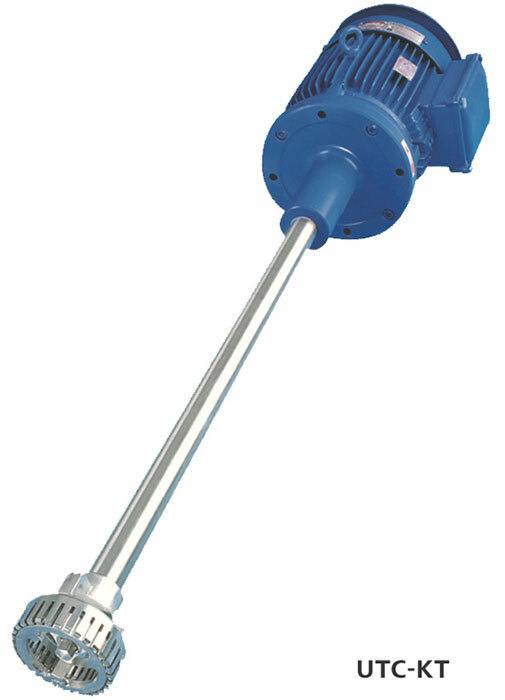 The rotating shaft is sealed with either a lip (KT) or mechanical (KD) seal. For operations under pressures of up to 10 bar or for the processing of abrasive media, the ULTRA-TURRAX® is equipped with a mechanical seal. Example: The UTC TP 115/4-KT/KD is an ULTRA-TURRAX® UTC machine with a TP 115/4 generator (four toothed rings, outer diameter of 115 mm). 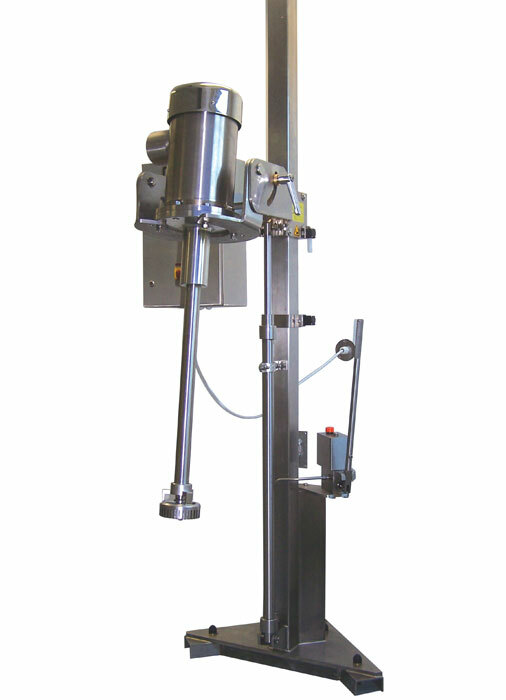 This machine is equipped with a lip seal (KT) and designed for mounting on closed vessels (KD). 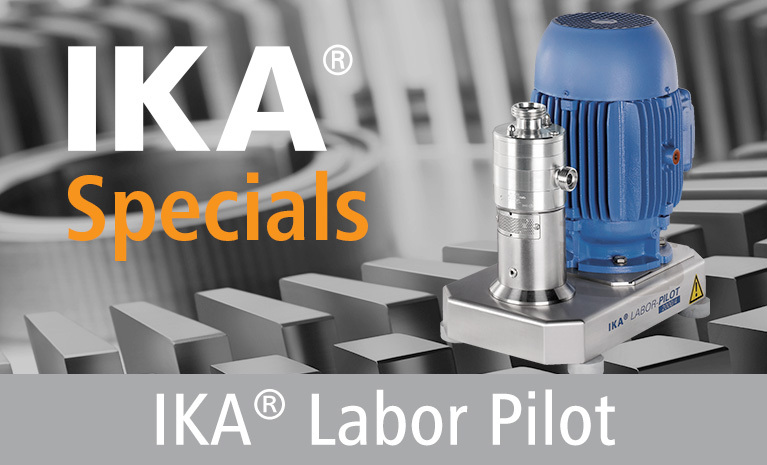 IKA application experts are available to assist you with product selection regarding type of machine/tool and installation position.